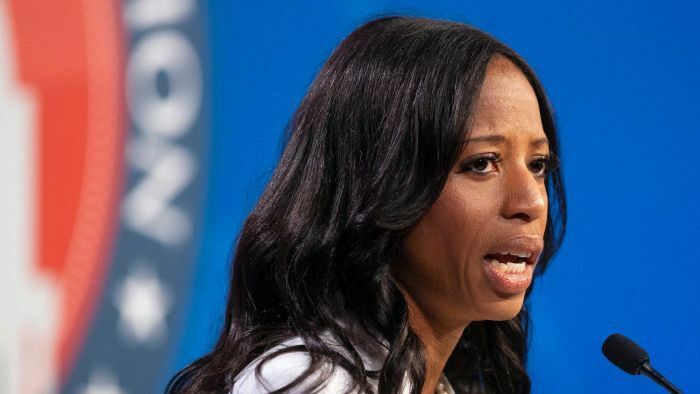 US Representative Mia Love, the only black Republican woman in Congress, has lashed out at President Donald Trump and her party, saying they had failed to fully embrace minority voters. Ms Love, a conservative from Utah, narrowly lost her bid for a third term to Salt Lake County Mayor Ben McAdams, a Democrat, according to the final vote tally from the November 6 elections. Weeks before the race was called, Mr Trump criticised Ms Love at a news conference for not supporting him enough. “The President’s behaviour toward me made me wonder, ‘What did he have to gain by saying such a thing about a fellow Republican? '” Ms Love told supporters in Utah. Democrats gained at least 37 seats in the House of Representatives in the midterm congressional elections, more than enough to seize control from the Republican majority. The results of some close races are still being calculated. Ms Love, whose parents immigrated to the United States from Haiti in the 1970s, accused the Republican Party of keeping minority voters at a distance and driving people who might otherwise support conservative policies into the arms of Democrats. “Because Republicans never take minority communities into their homes, as citizens into their homes and into their hearts, they stay with Democrats,” she said, noting Democrats had just elected new black and female representatives to Congress. Mr Trump won Ms Love’s district by nearly 7 per cent in 2016. The day after his party lost its lock on Congress, Mr Trump used a White House news conference to call out several Republicans who failed to hold on to their House seats. Ms Love reaffirmed her commitment to conservative principles and did not rule out another run for office. “I’m not going away,” she said.